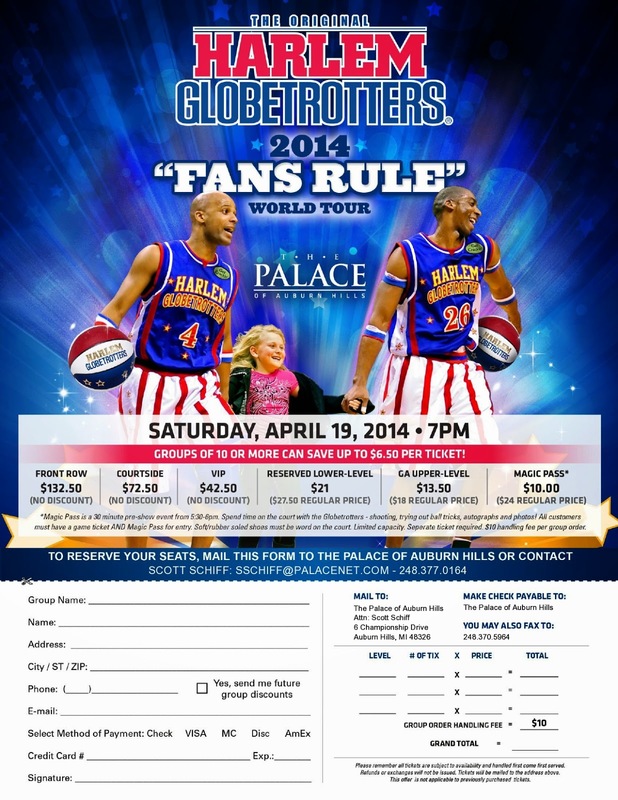 The Palace of Auburn Hills is happy to announce the Harlem Globetrotters are coming to town Saturday, April 19 at 7:30pm! I was talking the other day with a friend about seeing snippets of the Harlem Globetrotters on news shows and such regularly when we were growing up. And now a chance to see them in person?? Remember the episode of Scooby Doo that they were on? Ahh... those were the days. If you're local to Auburn Hills, Michigan, or at least will be for Easter weekend, please enter to win a four-pack of tickets to see the Harlem Globetrotters! Giveaway ends March 26 at midnight, eastern time. P.S. - If you don't win, don't worry - you'll still have time to purchase tickets. You won't want to miss the 2014 Fans Rule World Tour!! I entered and shared with all my friends. Sounds like a lot of fun. Growing up, I thought these guys looked so cool. I never got to see them and now I think this would be a lot of fun with the kids.